The Ultimate Done For You Launch Package comes with all the customized marketing assets you’ll need to make the most of your book and leverage this powerful product, plus resources and support to continue to build your income, audience and influence. We will help you develop a marketing plan for promoting your book and help you implement your plan, such as by developing blog posts, tweets and Facebook posts about your book, creating a launch event, and seeking media interviews for you. Books are powerful tools for building a business. They can be used to help you attract more prospects, obtain speaking engagements and publicity, and develop a platform of related products and services to sell to your readers. We will work with you to determine how you can leverage your book to help grow your business. We will prepare an engaging press release for your book, submit it to you for your review, then finalize it and submit it to our news wire service, which distributes press releases to over 100,000 media contacts, newsrooms, industry analysts, and freelance writers. We will place phone calls to follow-up on your press release with key editors, beat writers, and reviewers to push your press release, thereby increasing the probability of coverage. We will also send you every lead for a two-month period after the issuance of the press release, and provide you with advice on the best way to follow up with each lead. We will arrange for a listing of your book on an online eBook directory site to get your book more visibility. The Social Media Launch Campaign is designed to give authors the knowledge and confidence to start or continue building their social media platforms. An introductory call to learn the author’s goals and discuss the book and author’s background as they relate to social media. Recommendation as to which platforms may be best to begin or enhance to improve the visibility of the author and book. Social media platforms include Facebook, Twitter, Goodreads, LinkedIn and Instagram. Two “Social Media 101” documents centered around their chosen social media platforms, which include basic knowledge and tips for effectively utilizing their sites. Author is encouraged to read prior to the training calls. Two 45-minute training sessions with the author centered around their chosen social media platforms. Explanation of appropriate examples of impactful social media posts, as well as the all-important social media “rules of engagement” to develop a fan base and attract potential book buyers. Service includes providing three tailored sample Tweets, posts, etc. for each social media site, with the exception of Goodreads. At the end of the service, the author will receive comprehensive Social Media Rules of Engagement to help them continue to develop their social media platforms. Tailored sample posts will also be provided at this time. The Media Introduction Book Promotion Service is a 3 week campaign designed to assist in introducing a book to the media. We create a press release, which the author approves, and then pitch a highly-tailored network of print (newspaper and magazine) and online (blogs, e-zines, etc.) media outlets, specifically focusing in on media outlets and contacts (editors, reporters, reviewers, producers, schedulers/bookers, hosts, freelancers) who cover interest areas applicable to the book’s genre and author’s background, as well as book industry/trade media. We also place an emphasis on pitching the author’s local press/media, and/or any geographic markets which tie into the project in some way, shape or form. The author is responsible for following up on all media interest, sending books when requested, and scheduling media opportunities. We also upload the book to NetGalley, a community of 200,000+ librarians, bloggers, educators, booksellers and media. When the campaign ends, we provide the client with a campaign summary and contact details for media contacts who expressed interest for further follow up. It begins with an in-depth analysis of the book and coaching to help the author establish a long-lasting presence for the book, author brand, and expertise (if applicable). A book publicist is assigned who works closely with the client to establish a campaign strategy (with campaign activity ideally beginning one month in advance of the title’s publication date), overall goals, pitching angles and targets, etc. We upload the book to NetGalley, a community where 200,000+ librarians, bloggers, educators, booksellers and media. After the author completes an in-depth questionnaire, we write press materials and then pitch multiple angles to reach our vast and well-established network of local, regional and national scope print (newspaper and magazine), broadcast (television and radio) and online (blogs, e-zines, etc.) media outlets. Media targets are highly personalized and specifically tailored to reach contacts who cover areas of interest which pertain to the book and/or author’s background, as well as relevant industry/trade media. Our lists are also constantly evolving to reflect new markets/angles we identify to be tapped into. We work closely with the author to brainstorm and pitch op-ed and byline article pieces, which we work to “place” with top-tier media (with credit to the author – ideally alongside their book title and purchasing information). The publicist collaborates with the client on multiple pitching angles, ideas, tie ins to breaking news stories, etc., and personally pitches media via various methods – e-mail, phone, mail – depending on media preference. The publicist sends books and press material to interested media, arranges media opportunities, and works with author’s schedule. The publicist also performs aggressive and ongoing follow-up efforts to bring forward media feedback and encourage coverage plans. Depending on the book and author preferences, the media contacted may include radio and TV shows, newspapers and magazines, and online outlets, reviewers, bloggers, etc. The publicist handles all media relations and fields all media inquiries. The author will receive weekly written updates detailing the outreach activities, expressions of interest from the media/book requests, and plans for the following week, so the client knows exactly what is happening at all times. Links to media coverage, when available, are also included in these reports. When the campaign ends, we provide the client with a campaign summary and contact details for media contacts who expressed interest for further follow up. The Comprehensive Book Promotion	Campaign consists of the same elements as the Jump Start Book Promotion Campaign, but it lasts for 3 months. In a longer campaign, we have the ability to pitch more angles, articles, trends, etc., and conduct further follow up to encourage interest to coverage. A six-week campaign is not considered a full-scale campaign, but can be an effective way to kick-start visibility for a new book, gauge media interest, and provide the author with contacts to continue media outreach. With the Bestseller Coaching Program, you will be registered to receive a 12-month program in which you will learn what it means to be a bestselling author and how to achieve it, how to use social media, PR, and other tools to get noticed, and much more. You will have access to a series of 12 tutorials, as well as Q&A postings, be eligible to attend monthly group coaching sessions, and have unlimited access via email to ask your questions. Unlimited consultation during the campaign. 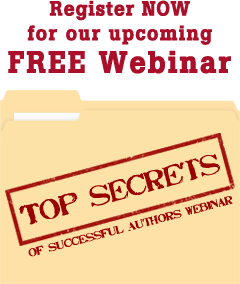 You will be registered to receive a 12-month program in which you will learn what it means to be a bestselling author and how to achieve it, how to use social media, PR, and other tools to get noticed, and much more. You will have access to a series of 12 tutorials, as well as Q&A postings, be eligible to attend monthly group coaching sessions, and have unlimited access via email to ask your questions. A 4 month campaign to provide extensive visibility for your book and your business. The campaign is two pronged: having your book reviewed and promoted by the top bloggers and influencers in the area of your topic or niche; and creating and issuing a press release to every major news outlet in the country announcing your book and defining you as an expert in your field. The results of this campaign include boosting your website traffic, book sales, search engine optimization and online presence.